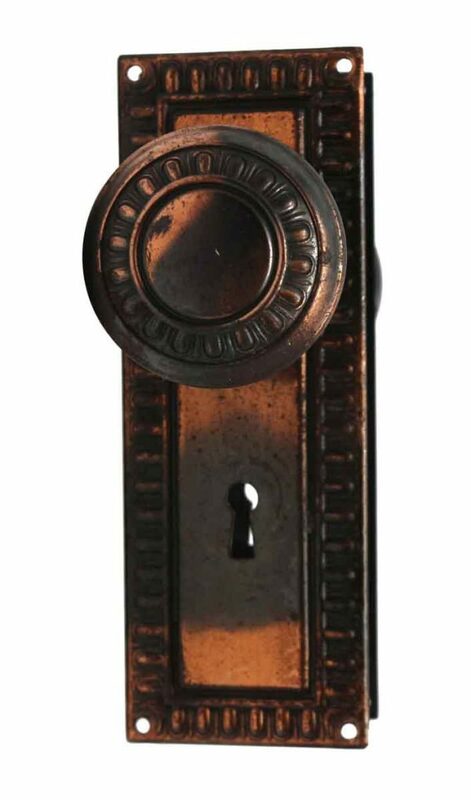 Egg and dart entry door knob set with matching keyhole back plates with a japanning finish. This is part of the M-15500 group. 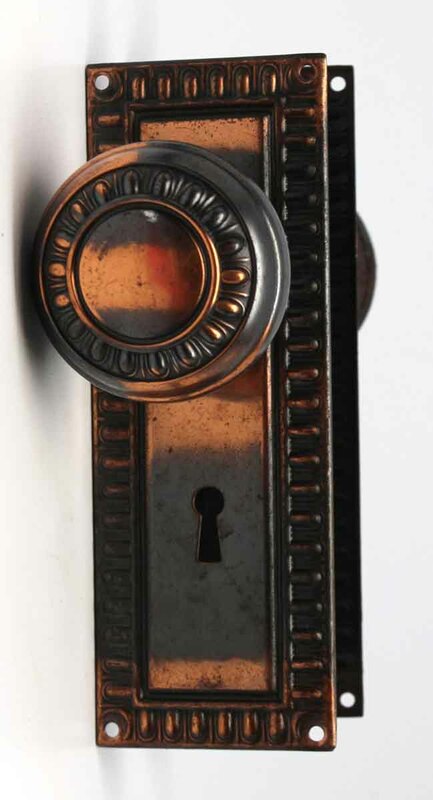 Set includes two knobs with a spindle and two back plates.